Colombia-pray for peace with justice. Although the FARC has signed a peace agreement with the Colombian government, not everyone is happy with the terms. Many Christians in Colombia are deeply upset by the conditions of the agreement, some of which they believe are based on lies. After more than 50 years of conflict, many believers also want the guerrilla group’s members to be brought to justice. Pray that Christians in Colombia will reach out to all sides of the conflict and promote the peace that only Jesus can provide. Also pray for those living in the “red zones,” where many innocent people have been affected by years of guerrilla warfare. There is only peace with God through repentance, forgiveness and reconciliation. Similarly there can only be peace between men through just retribution for wrongdoing first. 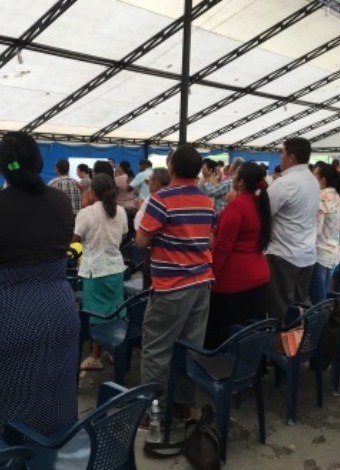 Church leaders in Colombia gathered to attend a conference.